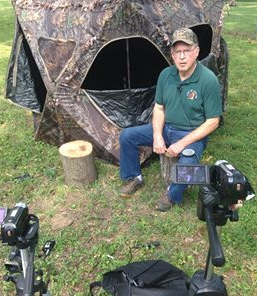 Jerry Antley gets ready to do some video outtakes about Cedar Hill Game calls for upcoming TV shows. 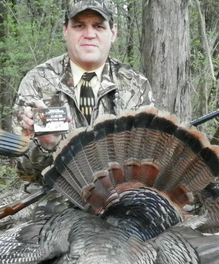 We mentioned yesterday that a contact with Scott Davis, Sr., a high school administrator who also hosts the Urban Tennessee Hunting TV show, was one of the highlights of a trip to Nashville this past weekend for locals Peyton McKinnie and Jerry Antley. Davis now plans to come here in late December and shoot some episodes here next year. Many people may remember Davis. He was born in Farmerville and grew up in this area. He attended Northeast Louisiana University (that’s ULM for you real young folks) and played football there. He grew up hunting and fishing and really missed it when he moved to the big city. But he didn’t think about it often. That’s where the concept came for his Swamp City Media and his TV show. Davis took Antley and McKinnie on an outdoor adventure to film a show on the Cumberland River right in downtown Nashville as part of their trip to the Legends of the Outdoors Hall of Fame banquet this past weekend. “It was kind of funny. There was Tim McGraw performing in downtown Nashville on the river and we were down on the river shooting arrows at carp and buffalo,” says Davis. Davis was really impressed with the work that Antley has done over the years on turkey calls. His development of the longbox turkey call and Cedar Hill calls is something special that hasn’t gotten the attention it deserves, Davis said. He’s going to try and help change that. 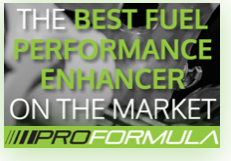 You can also watch videos from the show on that page. Enjoy. And thanks Peyton and Jerry, for making the connection for us!